Anti-Aging Treatments Gramercy: What is Juvederm? Plenty of folks prefer to call a variety of dermal fillers, including Juvederm, “Liquid Facelifts.” We think that’s somewhat of a false equivalent, mostly because a liquid filler is more natural than using a chip clip to pin back your extra skin and relieve your countenance of wrinkles. 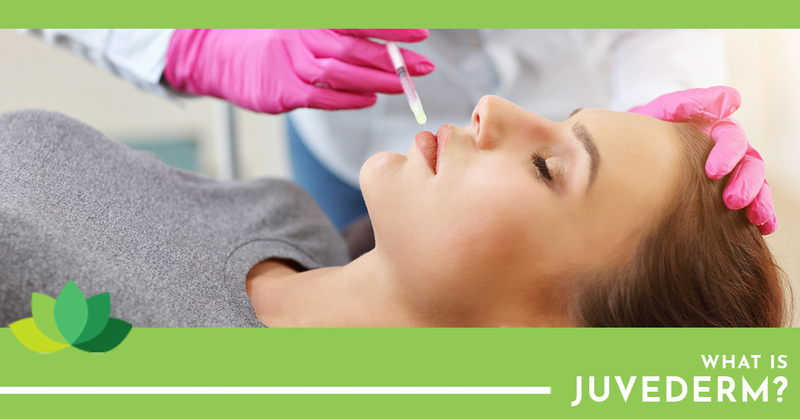 Juvederm is a liquid filler, but it’s so much more than a facelift. Most folks only use Juvederm to treat wrinkles and fine lines but it’s actually recommended for a wide variety of cosmetic touch-ups. You can use it to lift your cheeks, remove acne scars, fill in loose and sagging skin, change your nose shape, plump your lips and even combat certain medical issues like lipodystrophy— a disease that causes your face to lose fat at unnatural rates. In fact, Juvederm is unique in a few different ways, mainly in that it’s the only dermal filler that lasts up to a year because of its unique ingredient: hyaluronic acid that forms a gel-like consistency. It even has a bit of lidocaine to make the injections much less painful and provide a numbing quality. There are actually three different kinds of Juvederm. They’re all bacteria-derived, non-animal hyaluronic acid and are created using a patented technology called Hylacross that makes the dermal filler smoother and easier to inject because it’s not granular. That means you need a smaller needle when you’re injecting it and it’s a much less painful experience. There is Juvederm Ultra, Ultra Plus and Ultra Plus XC. Juvederm Ultra is used for finer wrinkles and folds while Ultra Plus is typically used for moderate to deeper folds. The formula for Ultra Plus is 20 percent thicker than the regular Ultra which provides longer lasting, more noticeable results. Whatever variety you choose, there will still be a need for follow up treatments because how long the treatment lasts is related to your metabolism rate, where it’s injected and how severe the wrinkles really are. It’s an amazing product and certainly the most low-maintenance option for dermal fillers and anti-aging of its category on the market, but it comes with its stipends. For example, because it involves needles, it is accompanied by a little pin-prick upon insertion, however, because it includes a numbing agent in the formula it is much less painful in comparison to other treatments that lack that. Additionally, you may encounter some bruising and swelling. That bruising or swelling can last, on the high end, up to two weeks total. You can minimize your tendency to bruise before the procedure by avoiding NSAIDS, fish oil, alcohol, “G” supplements like garlic and ginseng as well as aspirin for about 10 days prior to your treatment. If you experience bruising afterward, Dr. Bronfman likes to recommend using a high-dose of Vitamin K to help it go away faster. You may experience small lumps and bumps. They’re normals and they’re totally temporary. These will usually only last around a week after injection. If it doesn’t go away in a week, please feel free to make another appointment with us. We can smooth it out by manipulating the Juvederm formula with heat massage that will smooth it out easily. It’s best not to attempt to massage it out yourself, as it’s a tricky procedure to get right. Being the longest lasting and one of the least painful anti-aging dermal fillers on the market, there’s no reason to wait. With the help of Juvederm you can easily restore that youthful fullness and with it, your vigor and self-confidence. Reach out to Dr.Bronfman to schedule an appointment at our Gramercy office today.